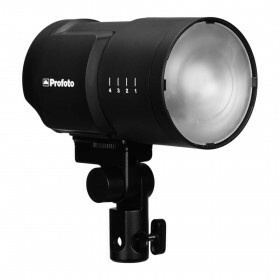 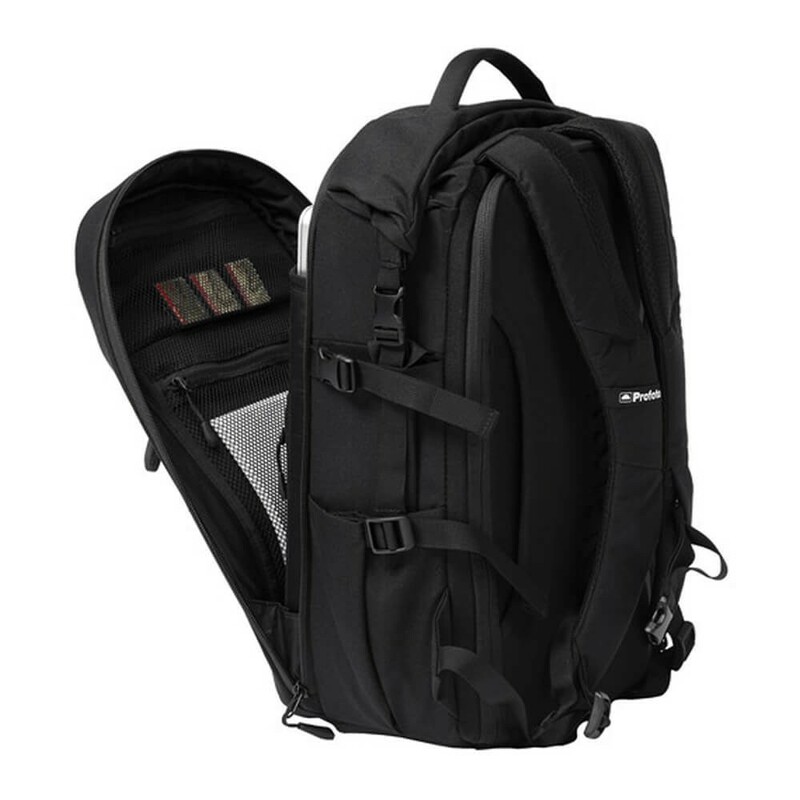 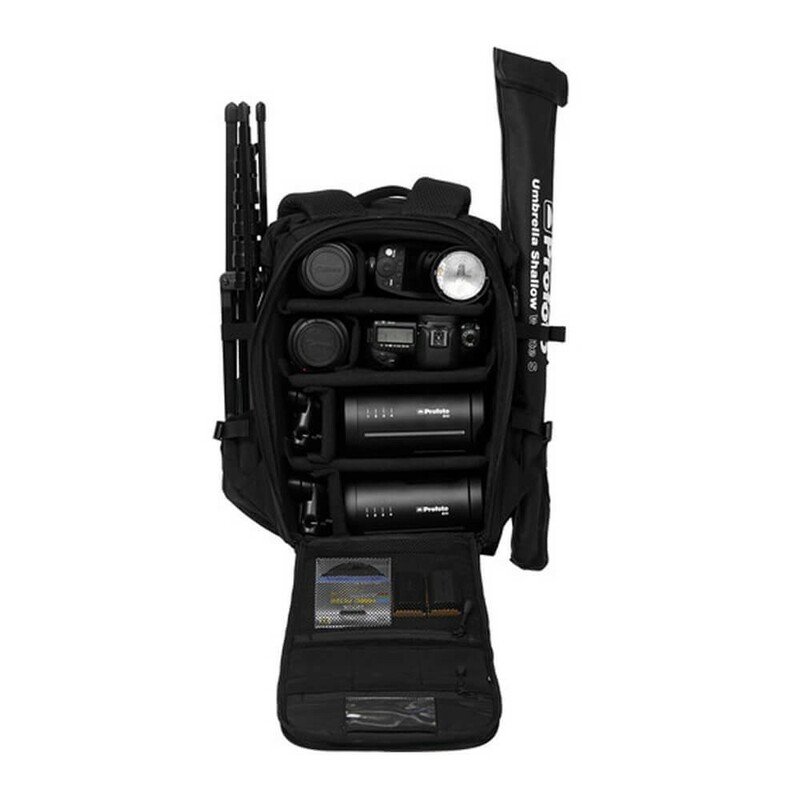 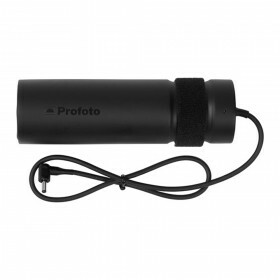 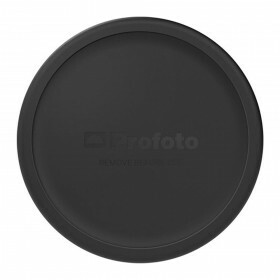 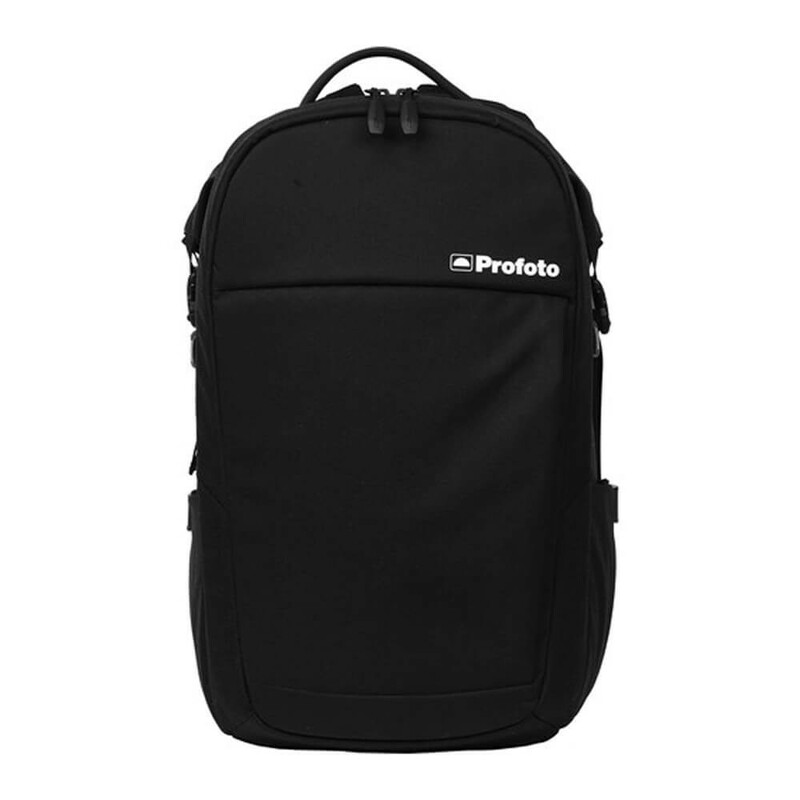 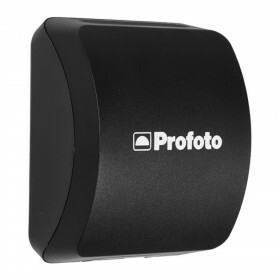 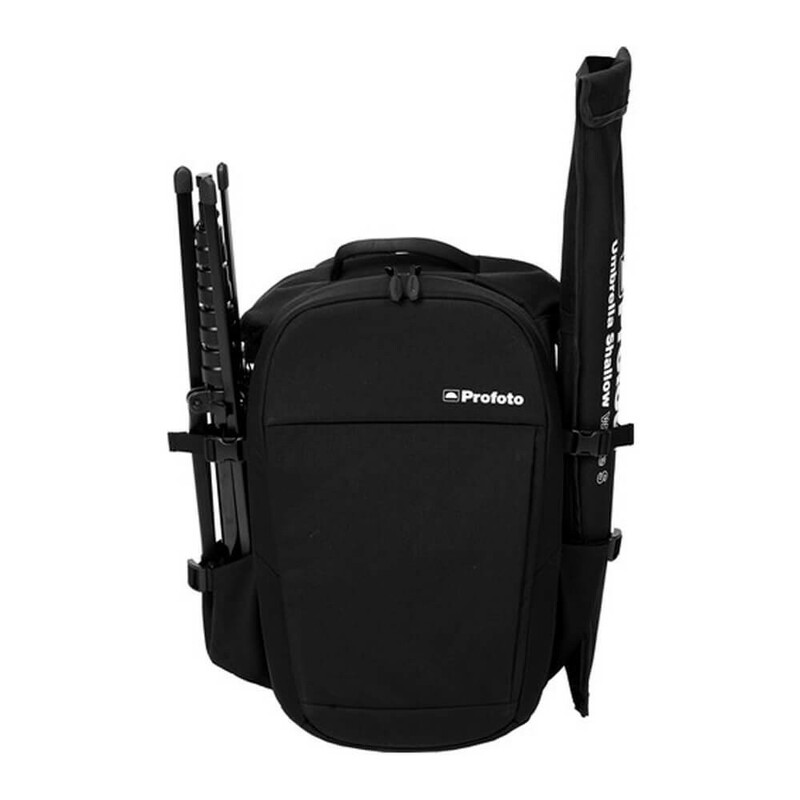 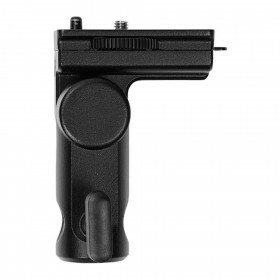 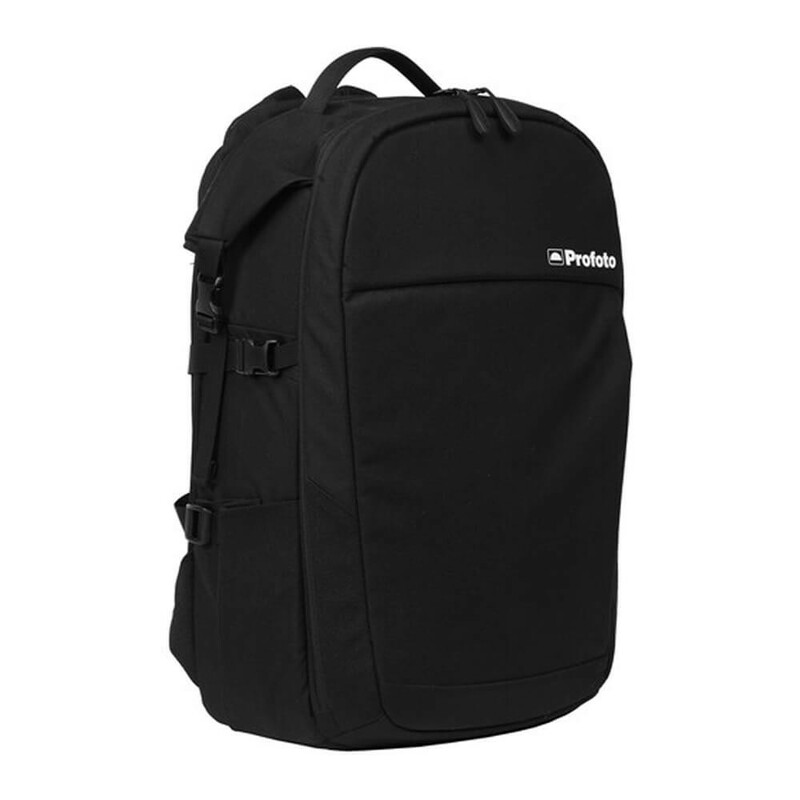 The Profoto Core Backpack S is a sleek backpack that is designed by Profoto. 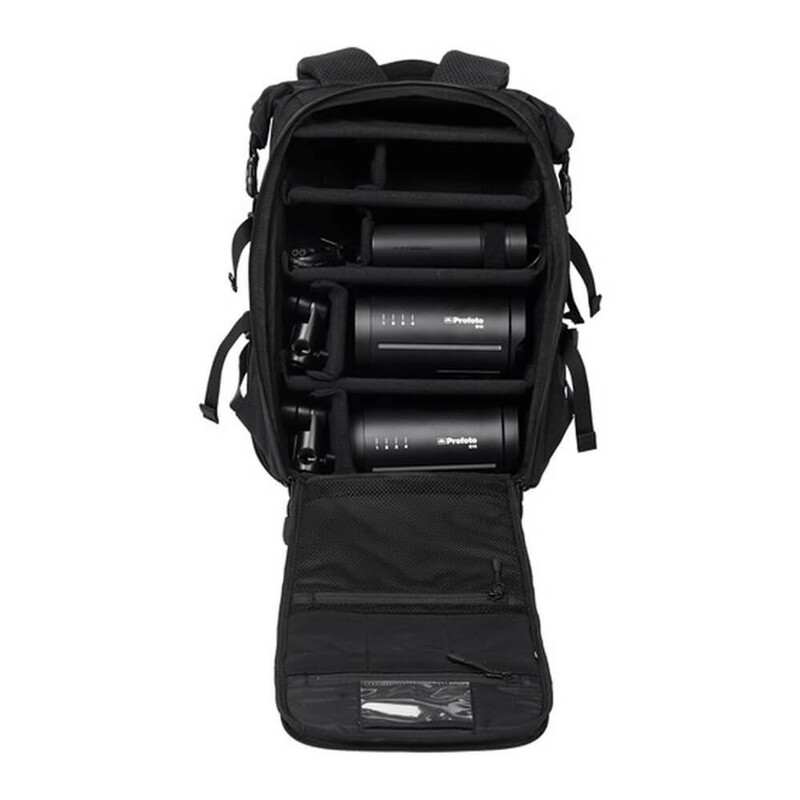 It is flexible, expandable and easily accessible with the modular organisation to make it easy to bring your studio with you. 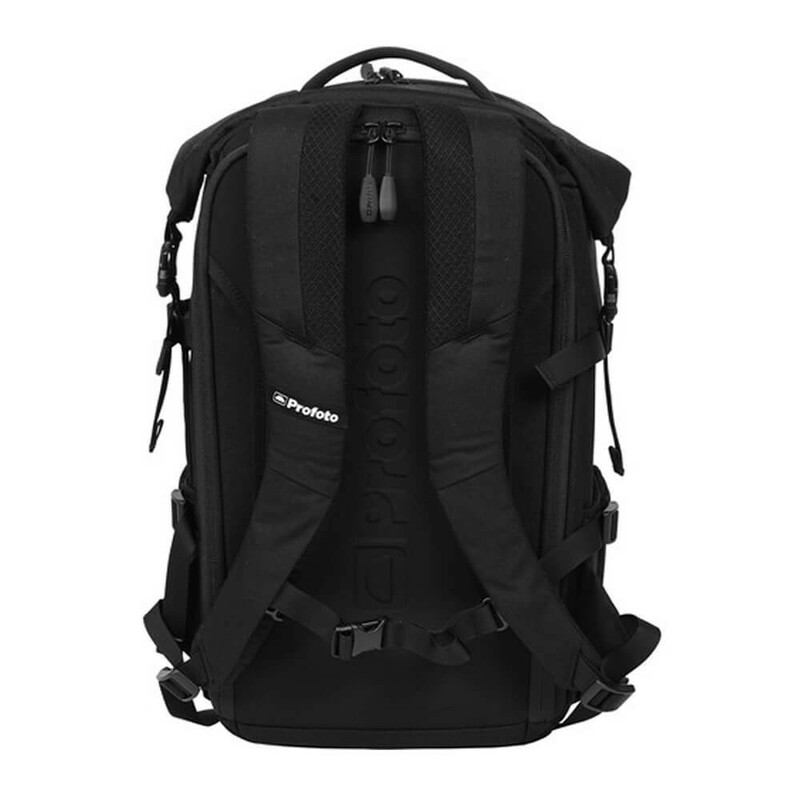 The cavernous main compartment is well protected and accessed from the back panel. 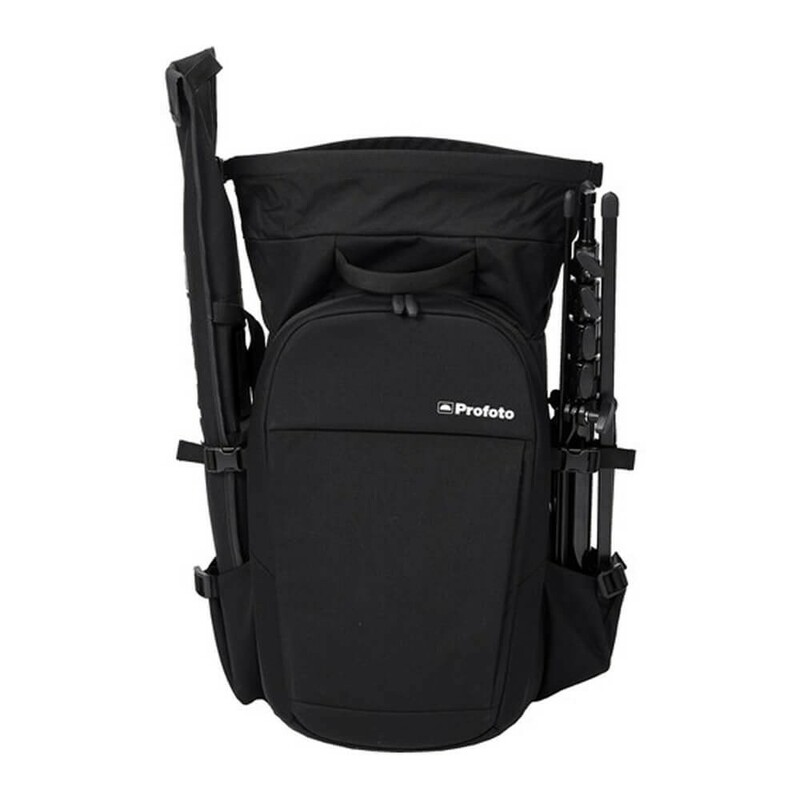 Adjustable dividers mean the main compartment adapts easily to your gear and the dividers can also be removed completely to convert into an everyday backpack. 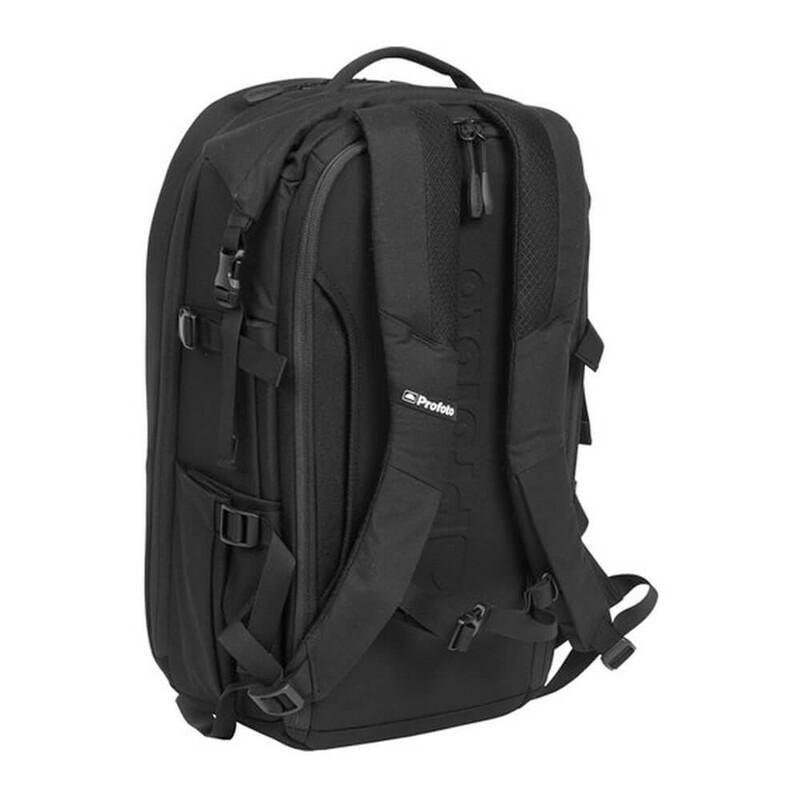 The roll-top opening offers additional access to the main compartment and lets you extend the carrying capabilities further. 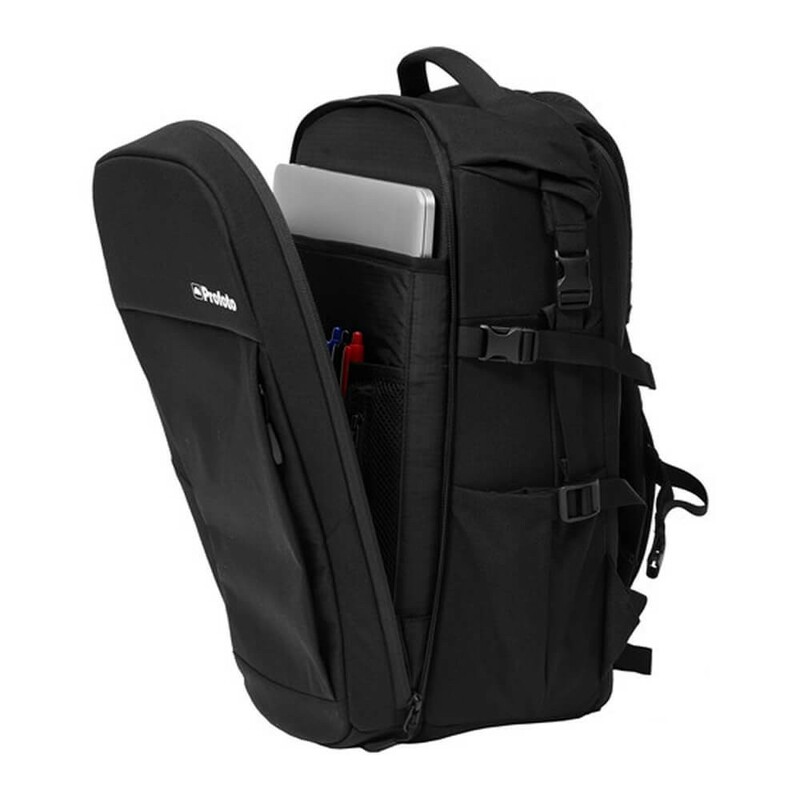 A second padded compartment on the front of the pack protects smaller high-value items and include pockets for a 15” laptop, tablet and/or documents. In additions, there are lots of small pockets available for organisation of smaller items. 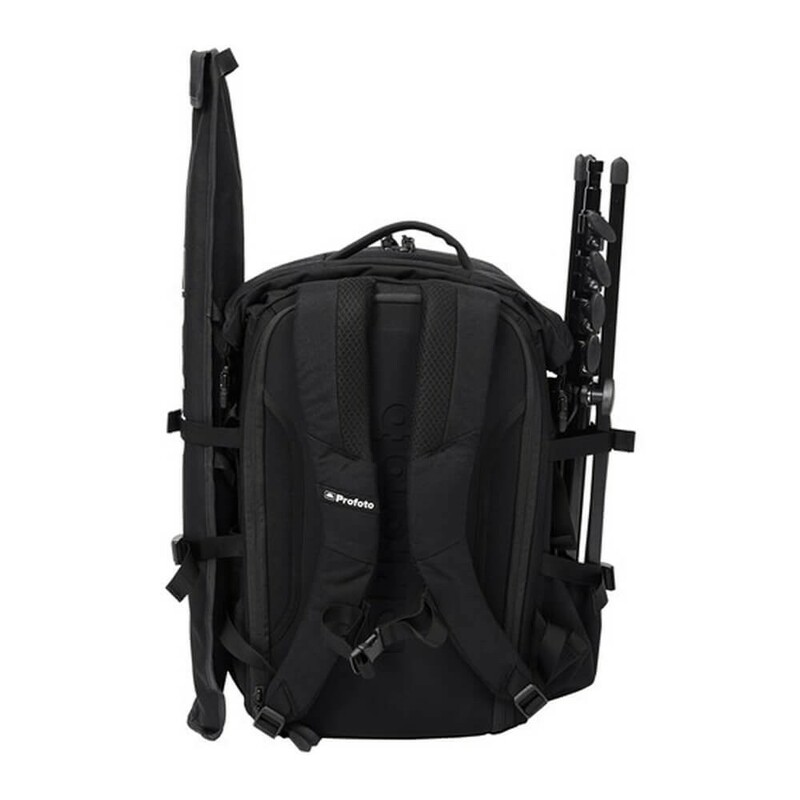 On each side of the backpack there are pockets and straps to attach camera tripod and smaller light stands. 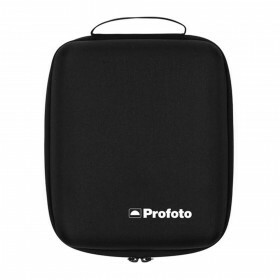 A trolley handle sleeve is integrated on the back panel to make travel easy.